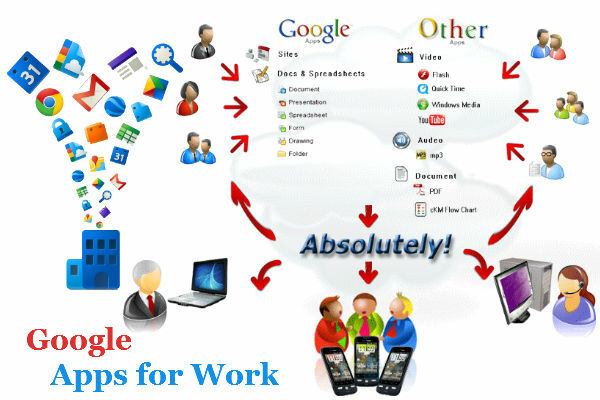 How to Use Google Apps to Improve Your Business Work | ODosta Inc.
Google has provided many Apps for Work to improve your business, As you can see; Communication apps like; G mail, Hangouts, Calendar, Google plus. Google Drive is used to Store data, Collaborate apps in which are included Docs, Sheets, Forms, Slides and sites as well as, Admin and Vault panel is used to manage Business workplace. Initially, You can use Premium Gmail, Hangouts, Calender, Google Plus as a 30 days trail and after that, Google offers its fully integrated premium apps @ $5 per month or $50 per year for single user. Agar aap Premium Gmail as a trail use karna chahty han to aap k pas koi domain honi chahye, Jis par email provide karny k liye Google us ki ownership verify karta hai. Agar aap k pas koi registered domain available nai hai to aap Google se purchase kar sakty han. Google mail ka sub se big advantage ye hai k Is ka total function cloud based hai, Aap k messages different locations or devices se download nai hon ge, Isi liye inbox kisi bhi connection or browser par same nazar aata hai. Kisi bhi premium application k sath 25Gb email ki space provide ki jati hai, Is liye bohut se business man ki tarha aap ko apna inbox clean karny k liye old or UN-offcial messages delete nai karny parhty. Aap same subjects se relevant received or sent emails ek hi group me place kar sakty han, Jab bhi koi new message us group me aata hai to complete group highlight ho jata hai. Aap at a time bohut se logon se conversation karty han, Jin ka group same nai hota, Is liye un ko ek hi time me different email messages bhi kar sakty han. 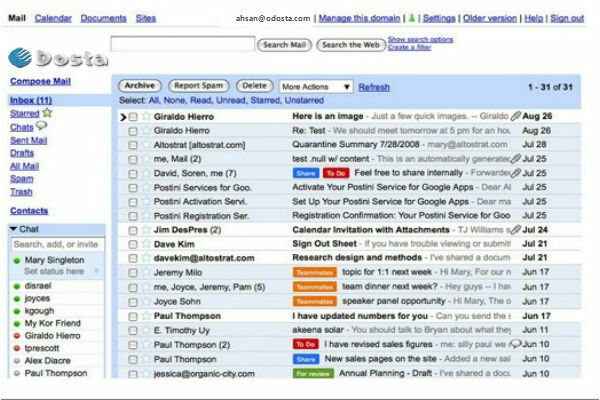 Google Gmail ki premium services me Business se related har tarha ki services provide karta hai, Aap time to time apny project se related updates apny employees ko send kar sakty han, Mail par auto responder attach kar sakty han, Jis ka matlab hai k agar aap office me nai hain to aap ko email send karny waly ko auto message send ho jae ga, Jis me aap ne apni absent ya koi alternate contact source explain kiya howa hai. Aap apny client se face to face chat ya kisi problem par discuss kar sakty han, Jis ko record karny ki facility bhi Google drive k through provide ki jati hai. Aap kisi bhi topic se related search kar k messages, project or media find kar sakty han. Google paid services me before or after quote auto-signature ki facility deta hai, Aap single click k through koi bhi email all contacts ko send kar sakty han, Agar aap attachment detector ko active kar den to aap ko email send karny se pehly attachment ki warning provide ki jati hai, Agar kisi ko wrong email send kar den to usy undo kar k recover kar sakty han. 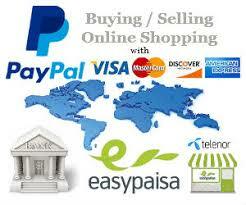 Google has many other extra features, Which will be provide to you after getting its premium services at all. Google docs ek web based premium application hai, Jis me Word, Excel, Access or PowerPoint k all functions available hain, as you can see; Word processing, Project presentation, Web form, Spread sheet and many other projects are being processed. Is ka advantage ye hai k work totally web browser me kiya ja sakta hai or aap ka data cloud storage par save hota rehta hai, Even k aap ko data save karny ki bhi zaroorat nai, Kyun k ek second k difference se all project automatically save hoty rehty han. Google docs k launch hony k bad Microsoft ki offline office applications ki rating decrease ho gae hai, Keyun k un me Google docs k bohut se features available nai han. You know, Every personal want to pick and share his data online with unlimited online storage, Which is possible just with Google docs. Google docs ka ek big advantage ye bhi hai k ek hi project par at a time bohut se developers work kar sakty han, Project manager kisi bhi user ko view ya edit ki permission provide kar sakta hai. Google docs k sath hangouts bohut zyada use hony wali application hai, Jo kisi bhi problem ko solve karny k liye video call ki soorat me use ki jati hai. Sometime esa hota hai k project me multiple files hoti hai, Esi condition me aap bohut si collaborate apps at a time use kar sakty han. Google calendar provides activity to a business man to make his all work punctual, Like; Appointments and business events etc. With Google calendar, Many people can also share their routine work, So that field manager may provide any task at their free times. 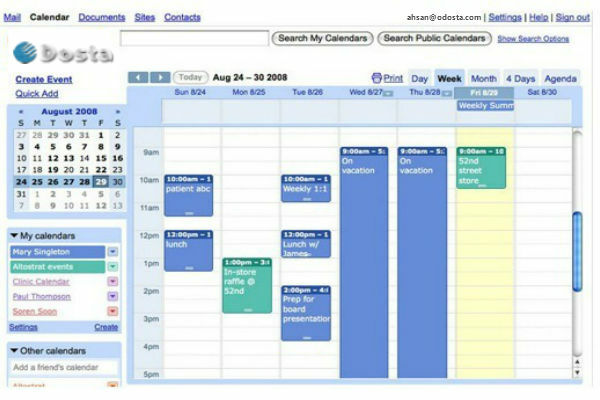 Basically, Google calendar makes punctual as many people they are attached it, For example; If you’re boss, You can share your calendar with your secretary to fix your meeting with many visitors, Same like that, If we see at low level, You can manage your calls, meetings, changing shifts of employees without any confliction. Office life me aap apny employees ko kisi task k liye dead end dy sakty han or isi tarha Gmail ki attachment se koi event ya ceremony create kar k all members ko bulk invitation ya just reminder send kiya ja sakta hai. Some time esa hota hai k as a boss, Aap kisi employ ko salary dety han, next month aap ko yad nai rehta k us ne kb join kiya tha, So Google aap ko facility provide karta hai k aap apny secret matters separate group me privately add kar sakty han. Eventually, Agar aap ek developer han to aap apni marzi se kisi bhi company k all members of employees ko calendar me add kar k ek “Master Calendar for all” create kar sakty han, Jis k through har user punctual ho sakta hai. Google has an easy drag and drop tool to develop websites, Where you can use Google all professional apps to create & process online data & information for your websites. 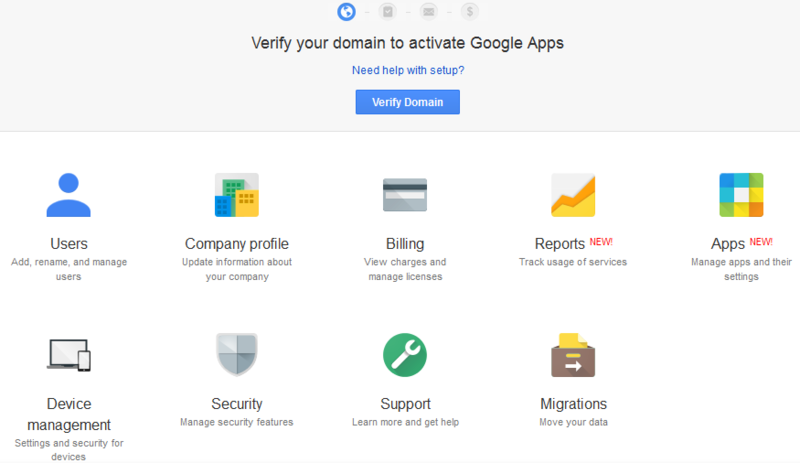 These websites published at Google apps domain as a private or public, For Which you can give any permission for your employees to view, Change or share data and information to others. You can use some static or dynamic built in templates to get quickly-functional websites in seconds for your business with secure access for all members of project. 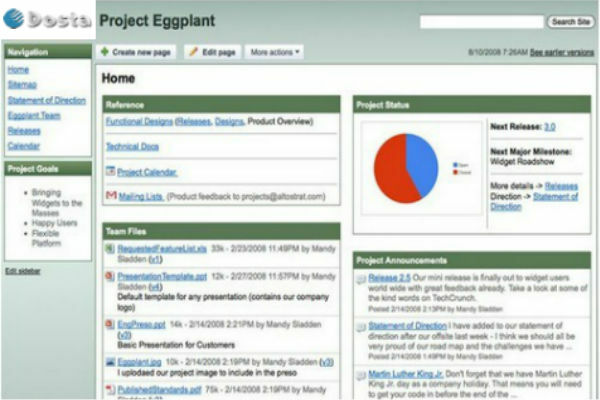 Sometimes, Google sites make it easy to integrate and process data from Google’s other apps easily to create any project, Using spreed sheets and data-charts from Google Docs, Schedules or deadlines from Google Calendar, Specific messages via Google Mail to update information quick and fast. I think, Google apps ka sub se big advantage ye hai k aap koi bhi premium application use karty howe Google ki other apps me frequently jump kar sakty han, Jis ka matlab ye hai k agar aap ko ek site create karni hai, Jis k liye aap ko word processor & editor, HTML viewer & Coder, Image viewer & editor, Flash player & editor or isi tarha ki bohut si apps ki at a time zaroorat hoti hai or kisi small si image ya flash file ko edit karny k liye aap apny PC me Photoshop ya flash editor install karny me time waste nai kar sakty, Jis ki sometimes permission leny k liye bhi administrator ko helpdesk karni parhti hai, So Google ek common business man or developer ki requirements ko understand karty howe usy esa envoironment provide karta hai, Jahan Gmail, Hangouts, Calendar, Google plus, Google drive, Google Docs, Sheet, Forms, Slides, Sites, As well as, In ko manage karny k liye admin, vault or Google Product Suite ki upcomming all other applications ko at a time use kiya ja sakta hai, Jis se user ka har second development or innovation k liye utilize ho ga.